Italian champions Juventus have been handed a tricky tie in the quarter-final draw for the Europa League after being paired with Lyon. Juve reached the last eight of the competition courtesy of a 1-0 win over Fiorentina in Florence on Thursday, Andrea Pirlo's goal seeing them through 2-1 on aggregate. The victory takes the Old Lady one step closer to a final at their own Juventus Stadium on May 14 but they must now overcome Lyon, who lost for the first time in the Europa League this term this week. The Ligue 1 side were beaten 2-1 by Viktoria Plzen in the Czech Republic in the second leg but advanced thanks to a thumping 4-1 in the first leg at the Stade Gerland. Remi Garde's men are bidding to become the first French team to win the competition in any of its guises and approach the clash with Juventus in good form. Lyon have won their last four home European games and will be confident of making it five on the bounce in the first leg on 2nd April, with the return game set to take place in Turin on 9th April. Les Gones are 1/1 to win the first leg, with Juventus 1/1 and the draw is priced at 1/1. Elsewhere, last year's runners-up Benfica will take on Dutch outfit AZ Alkmaar after disposing of the last English side in the Europa League, Tottenham, 5-3 on aggregate. AZ have struggled domestically this season but much like Lyon have looked strong in Europe, seeing off Anzhi in the last-16. As for the two Spanish sides left in the competition, Sevilla will face Porto in an all-Iberian clash, while Valencia take on Basel. Valencia sporting director Francisco Pérez feels the clash with the Swiss champions will be far from easy but was happy to avoid Juventus in the quarter-final draw. "We have the highest respect for a team that has come into the competition from the [UEFA] Champions League, and what’s more has won away against the likes of Chelsea FC. Added to that, in the last round of the [UEFA] Europa League, they managed to turn around a very difficult situation [against FC Salzburg]. But there are positive points from our side, such as playing the return leg at home." 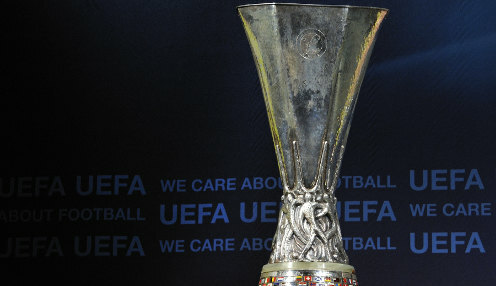 Valencia are 1/1 to win the Europa League, while Juventus are 1/1 and Benfica 1/1. Looking for a top tip this weekend? Head to the bet365 YouTube channel and get the views of Sam Matterface & our very own Steve Freeth in the latest bet365 Update. What's your view? You can get involved and debate this story with bet365 on Twitter, Facebook & Google+.